Note that hand, foot and mouth disease has nothing to do with the type of foot and mouth disease that infects animals. 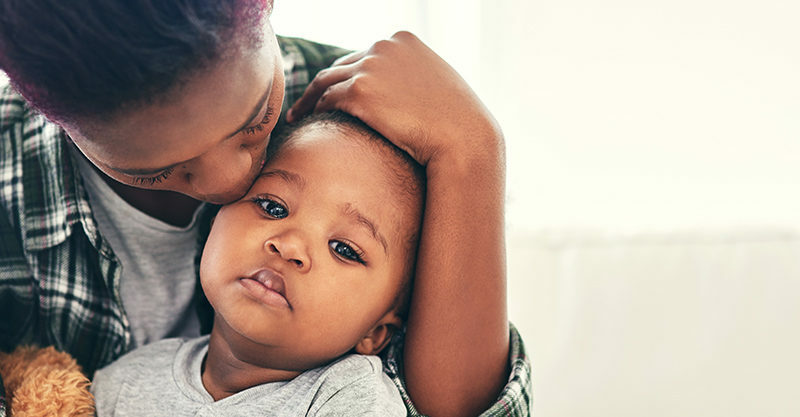 Hand, foot and mouth disease is a highly contagious illness and if your child is showing symptoms, they must be kept away from other children. It can sometimes have mild symptoms, but it can also be extremely painful for the children and babies that have the illness. Caused by a number of enteroviruses, it most commonly occurs in babies and children under ten, although adults and older kids are able to catch it too. There is no vaccination to prevent hand, foot and mouth available in Australia and because it’s a viral illness, antibiotics are not an effective treatment. Hand, foot and mouth disease can be found all across the globe and is most common in spring, summer and autumn. 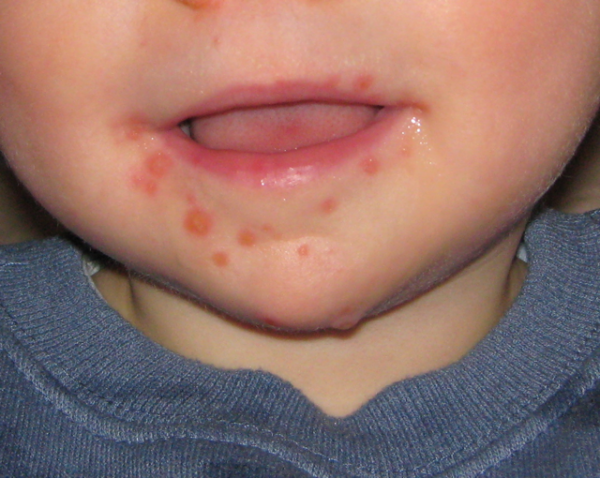 The main symptom of the disease is small red dots that form blisters – and later ulcers – are one of the first signs of hand, foot and mouth disease. The blisters initially appear inside the mouth on the cheeks, gums and sides of the tongue. Blisters also form on the palms of the hands and soles of the feet. Some babies develop blisters on their bottom and surrounding areas. The hand, foot and mouth disease blisters usually last for around 7 to 10 days. Children with hand, foot and mouth may run a fever, have a sore throat, be tired and irritable and lose their appetite. The virus is spread via person-to-person contact, through the mouth (think droplets, dribble), through the fluid inside the blisters or through faeces. Blisters appear in 3 to 5 days after contact and the virus stays present in faeces for several weeks, after the blisters have disappeared. “While they have blisters that are filled with fluid, keep them at home. Even once they pop, the virus can spread for a few more hours,” experts say. Who is most at risk of hand, foot and mouth? The messy nature of children and babies makes them most susceptible to catching hand, foot and mouth from another equally messy child. It’s especially easily spread in childcare centres. Parents and siblings may then contract the virus, in a cruel game of pass it on. There is no clear evidence of risk to unborn babies from hand, foot and mouth disease. However, infected mothers can pass the infection onto newborn babies. How can we prevent hand, foot and mouth? Vigilant hand washing with soap and water after going to the toilet, prior to eating, after changing nappies or dirty clothes and after wiping noses. Avoid sharing items like towels, face washers, toothbrushes, shoes, clothing and eating utensils. Carefully clean items and areas that an infected child (or adult) has been in contact with. Ensure your child knows to cover their mouth when they cough or sneeze – and wash their hands after they have done so. What’s the diagnosis protocol and treatment? No tests are needed to diagnose hand, foot and mouth disease. Your GP can recognise it from the symptoms your child is presenting. Don’t burst any blisters your child is presenting – the fluid inside them is very infectious. Your child will need plenty of regular fluids – even in small amounts. “We encourage pain relief, anaesthetic gels and lozenges for older children to help with sore throats,” Sydney Dr Bishoy Marcus advised, speaking to The Daily Telegraph. “You have to make sure they’re getting enough fluid as possible because it can be too painful to swallow,” he said. In rare cases, the enteroviruses responsible for hand, foot and mouth disease can cause other serious illnesses that affect the heart, brain, lining of the brain (meningitis), lungs, or eyes. If your child exhibits any of the following symptoms, get in touch with your GP urgently. How long should children with hand, foot and mouth be excluded from childcare and school? 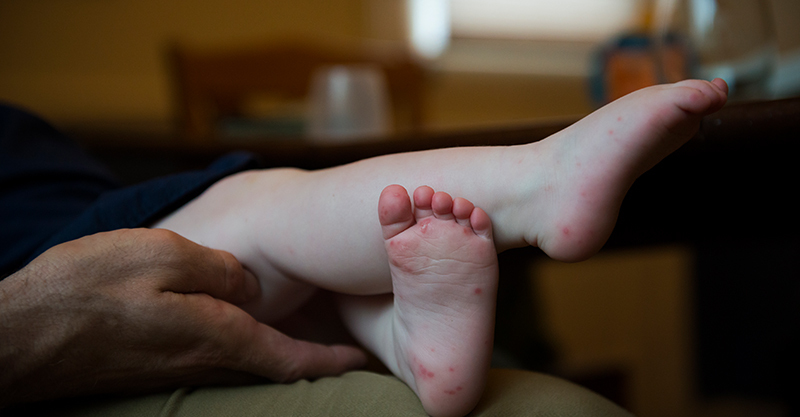 Children and babies with the virus should be excluded from school or childcare until they no longer have a fever, their blisters have dried-up, and any rash (if present) has disappeared.